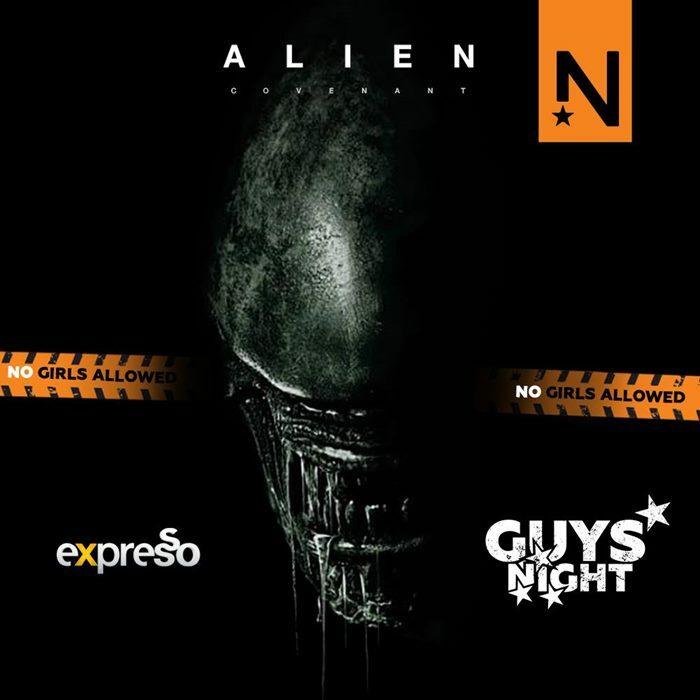 The Expresso Nu Metro Movie Club wants you to come join us in outer space at the next Guys’ Night Out, and experience the pre-release screening of Alien:Covenant in Nu Metro’s fully immersive Xtreme cinemas nationwide – featuring some of SÁ’s largest cinema screens along with powerful 360 degree sound. Catch the exclusive first South African screening of Alien: Covenant at Guys' Night with Nu Metro and Expresso on 18 May. Book online at numetro.co.za or call 0861 246 362. Guys’ Night Out is brought to you by Expresso and Nu Metro Cinemas.